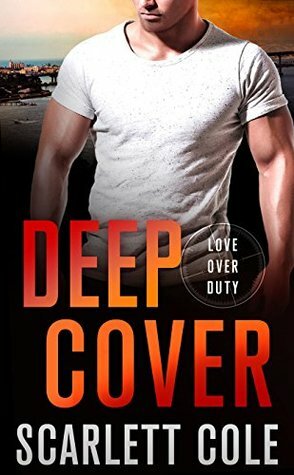 Deep Cover is the first book that I have read in the Love Over Duty series, it is the third book in this series and I didn’t at any time feel lost or confused, more intrigued about the other characters that we get to meet, their partners and what had happened previously. Cabe Moss is a Former Navy SEAL and is protective of those closest to him; he lost his fiancée to a roadside bombing in Afghanistan and is still grieving from his loss. Cabe was a complex, loyal and determined character that I thoroughly enjoyed getting to know, he was quite the alpha male. Cabe and his team have been approached to work alongside the FBI to catch individuals in money laundering, it is during this assignment that he meets FBI agent Amy Murray, who is looking into the trafficking of missing women. Amy was such a strong, intelligent and likeable character with a great skillset which was perfect in the undercover role that she was about to undertake, she had also suffered loss and was extremely passionate about this case. Seeing her form a connection with Cabe despite their initial meeting was great; they had amazing chemistry and worked well together. It was also great getting to know Mac and Six who are the other team members of Eagle Securities; I am keen to read their books to learn more about them and their partners. With a wonderful slow to build romance, suspense and a storyline that kept me riveted, Deep Cover was an entertaining read and I am eager to read more books by Scarlett Cole. I received this ARC from NetGalley for my honest review. When it comes to romance without any paranormal woo-woo or alternate universes, I love romantic suspense. This sounds good and of course now I want to know more about the series.